Light and packable winter skirt. 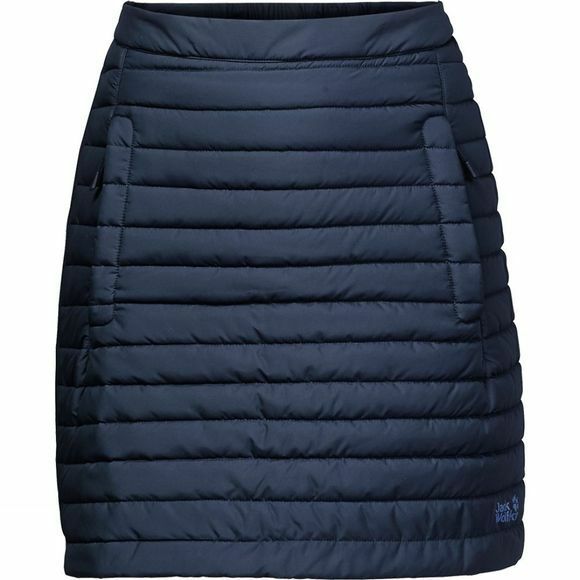 The Women's Iceguard Skirt is an insulated over skirt for winter adventures or everyday wear. The synthetic fibre insulation means it is reliably warm, while the light outer fabric will fend off light winds and showers. It packs down neatly in its own stuff sack and will fit in any bag, ready for action when needed.